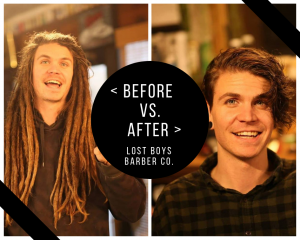 “I’m going to do 100% my best work on you, and when you leave here, you will walk out looking better than you did.” – Michael Junge, Lost Boys Barber Co.
Lost Boys Barber Co. was founded by Michael Junge who grew up loving the masculine feel of the local barbershop. On the flip side, Junge often left the barbershop with a cut unlike the one he had envisioned. With a dream of starting a business and serving others well, Junge took a different route – he enrolled in a cosmetology program. 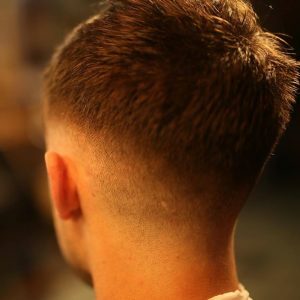 The detail-oriented & client-focused training that were instilled into Junge paved the way for Lost Boys Barber Co.’s success. 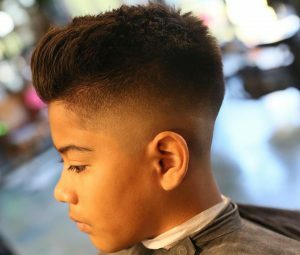 Whether you want a dramatic change or simple cut, Michael Junge and his crew are confident in their abilities. With transformations like this… they have reason to be. The team has mastered the FADE. The details matter to this crew as much as they do to you. Just take a peek. Junge nailed the masculine feel that he loved about the barbershop as a kid. 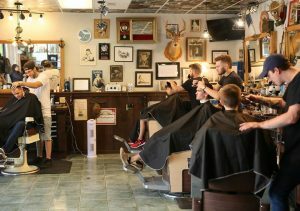 Lost Boys Barber Co. has a classic barber vibe + friendly service + a steady following that = a phenomenal atmosphere. 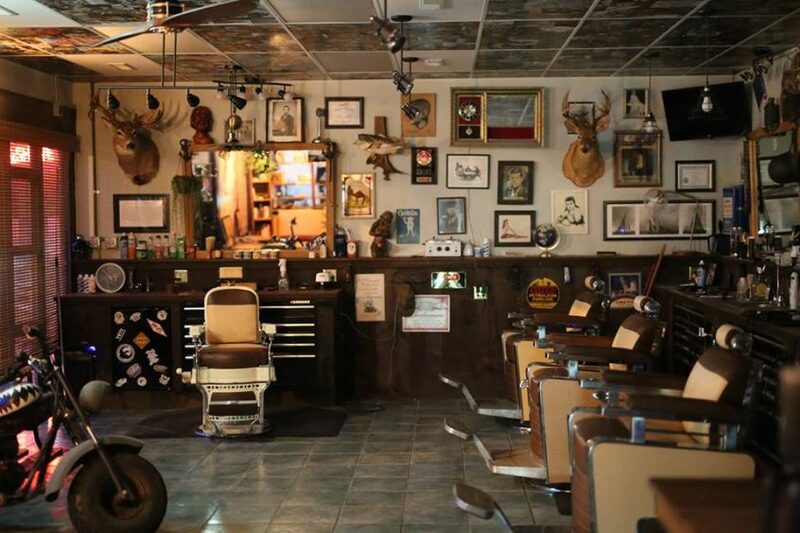 “Is there a better barbershop in America? Probably not. Robbins Insurance Group is a strong advocate for shopping local. Grow your community & buy local. Check out Lost Boys Barber Co. today! Contact Lost Boys Barber Co.